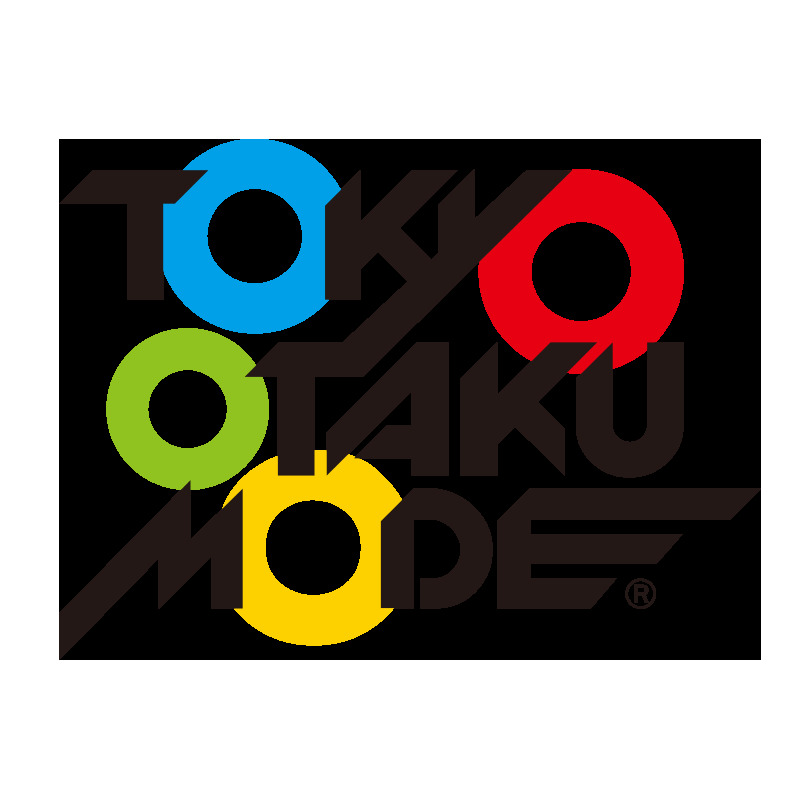 Tokyo Otaku Mode Inc. (incorporated in Delaware, U.S.; representative: Tomohide Kamei; CEO: Naomitsu Kodaka; herein referred to as TOM) announces the launch of a worldwide crowdfunding platform titled Tokyo Mirai Mode (miraimode.com) for supporting, funding, and purchasing unique creations and products from Japan. The platform launched on February 27, 2017 at 10:00 am (JST). The first round of projects to open on Tokyo Mirai Mode includes three products: MESH (http://meshprj.com), a DIY IoT toolkit born from Sony Corporation’s Seed Acceleration Program for new businesses; Key-Quest, a convenient key-shaped 6-in-1 multi-tool by Tsukada Co., Ltd. that can fit easily inside pockets; and LEVI SOUND, a wireless, levitating Bluetooth speaker by KEN LLC. Tokyo Mirai Mode is also fully cooperating with Hatsuhiko, a test marketing platform designed for markets outside Japan and tailored for internal startups nurtured within Sony Corporation’s Seed Acceleration Program. 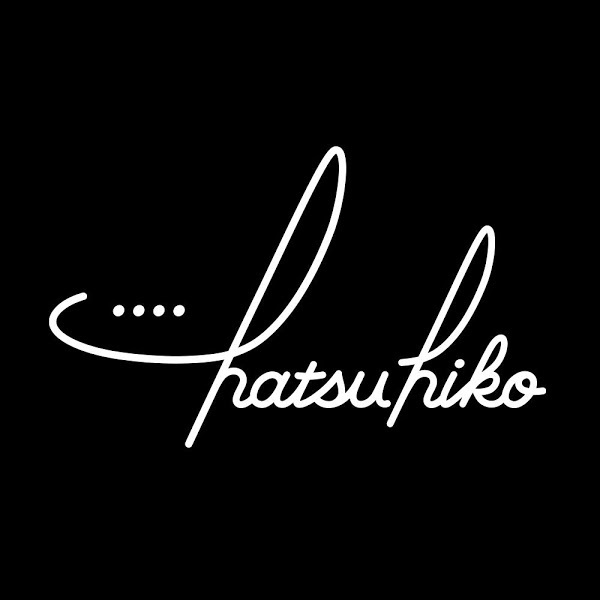 Hatsuhiko will provide the opportunities to ascertain the needs of overseas markets, as well as the chance to develop and improve products through direct communication with overseas consumers, through the Tokyo Mirai Mode platform. Early adopters overseas can obtain unique and rare products from Japan before they are available for general sale. Fans in Japan and overseas can support the companies (manufacturers, producers, etc.) they like. Manufacturers in Japan can receive support from backers worldwide in the form of both funding and feedback for producing their product/service. Manufacturers and stores can utilize Tokyo Mirai Mode as a place to test market existing products prior to full-scale expansion into new countries/regions through communication with and sales to early adopters in local markets. 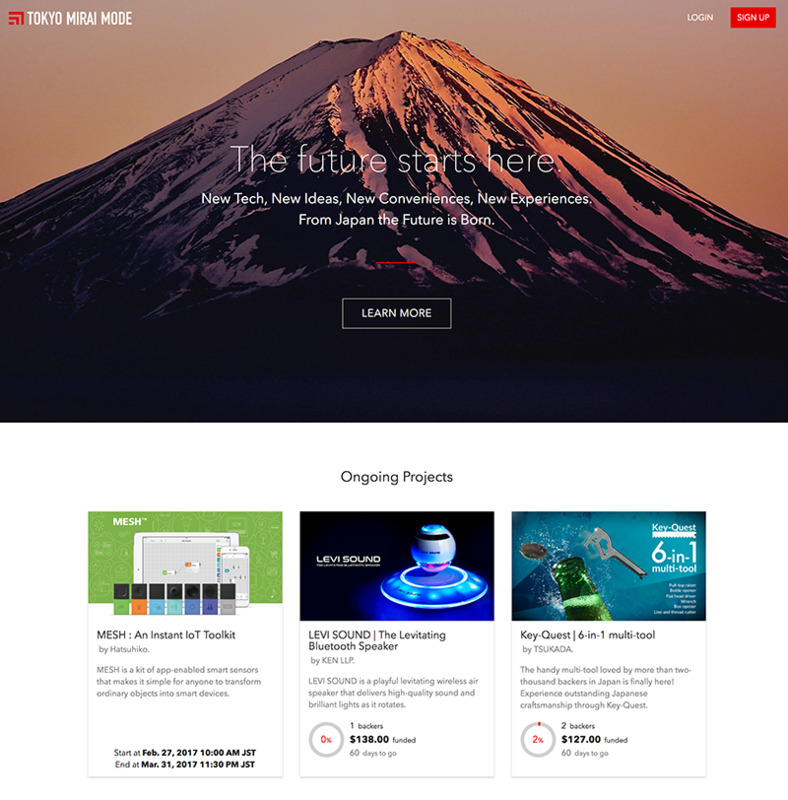 Tokyo Mirai Mode isn’t like other crowdfunding platforms; it offers full support operations for expanding overseas, including translation services and customer support from our courteous native staff, as well as one-stop solutions for worldwide delivery. Tokyo Mirai Mode offers fundraising and sales in three currencies—US dollars, euros, and yen—and offers backers the ability to make payments in 130 different currencies. Tokyo Mirai Mode breaks through the barriers of country, language, and currency to connect project owners who aspire to deliver the unique value of Japan overseas with backers worldwide who wish to support such projects. In this way, Tokyo Mirai Mode provides the means to challenge the global market, which was once limited to only the large corporations of Japan, to all businesses and individuals within Japan alike. 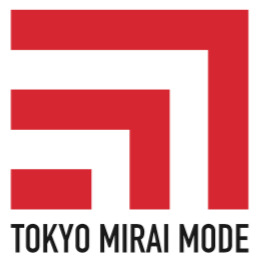 A world in which anyone can challenge the overseas market from Japan and support projects across national borders - the mission of Tokyo Mirai Mode is to make such a world a reality. 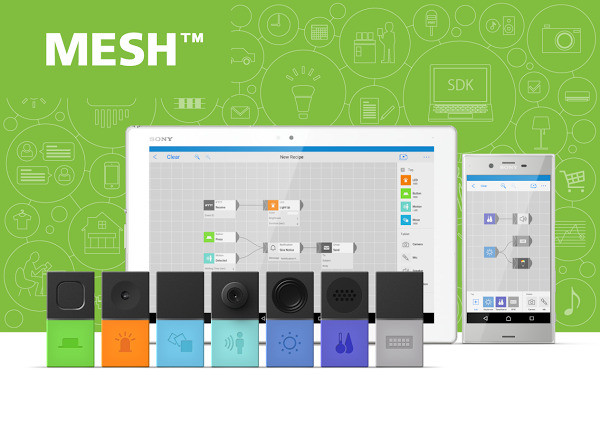 Product Details: MESH is a DIY kit that makes it easy for adults and children alike to create mechanisms using IoT without any knowledge of programming or building electronics. Using wirelessly connected RFID tags with light sensors and various other functions, and connecting them to various internet services and smart devices through an app, users can easily give form to their ideas by combining the objects around them. Project Owner: Tsukada Co., Ltd. 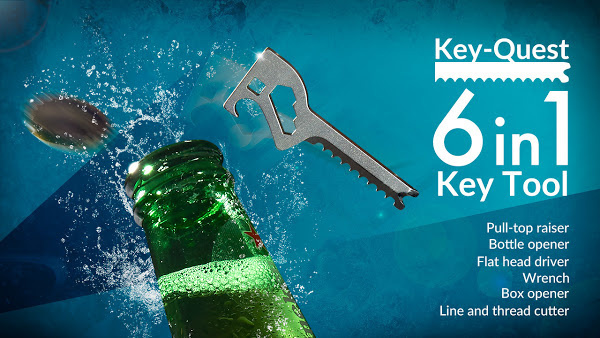 Product Details: Key-Quest is a convenient key-shaped 6-in-1 multipurpose tool that can be attached to keychains. Its small design includes six functions created using traditional techniques of Seki blade production and are convenient for all kinds of everyday situations like opening cardboard boxes and cutting fishing lines. 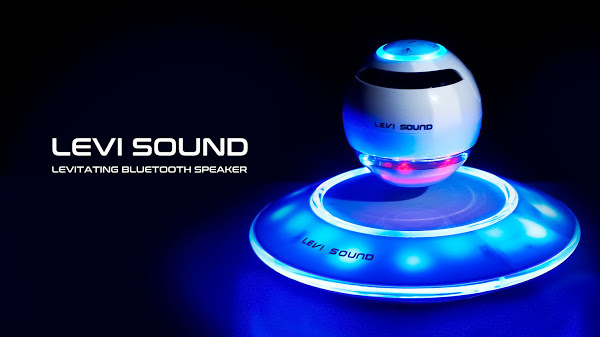 Product Details: LEVI SOUND is an futuristic wireless levitating speaker that supports Bluetooth 4.1. Its levitating spherical speaker rotates while emitting light and superb quality sound, and it can be controlled via smartphone. Hatsuhiko is Sony’s test marketing platform designed for markets outside Japan, and tailored for internal startups nurtured within its Seed Acceleration Program. It provides business ventures with opportunities to ascertain market needs outside Japan, as well as the chance to develop and improve their products through direct communication with overseas customers. Participating projects can conduct test marketing through Hatsuhiko by selecting a duration and region (selectable from 130 countries/regions worldwide) based on their business needs. Projects can then utilize responses obtained from customers for planning full-scale overseas business expansion.